Congratulations to Coach Alex Ramirez and the 2006 girls for winning the Cal South State Cup!!! After dropping their first match in bracket play, the girls never looked back. They won 8 straight games, including shuting out the last 4 opponents they faced. We couldn't be more proud of the coach Ramirez and the 06 girls for this truly amazing accomplishment. After losing their first game in group play 2-0, the Storm G2006 Black team responded with 2 straight shutout wins to finish in 3rd place in their group with 6 points. Based on their goal differential they were granted the 1st of 12 wild card spots into the round of 64. A long trip to Lancaster the following Saturday ended with another win, pushing them into the round of 32 the next day. Not only did they win that game they also won their round of 16 game later that afternoon which propelled them into the quarterfinals the following weekend in Temecula. After a hard fought 0-0 tie at the end of regulation and over time, the game went to penalty kicks and Storm came out on top 3-2 (PKs) advancing to the semifinals later that day. With the winds picking up, on field conditions were tough, but it didn't slow them down one bit, ending with a 2-0 victory! The stage was set for the Finals the next day, out of 102 total teams only 2 were left, Vista Storm G06 Black vs Los Alamitos G06. The Storm came out firing and put one in off an early cross within the first 3 minutes of the game. After that it was all defense, they battled till the end and held on to that 1-0 lead. 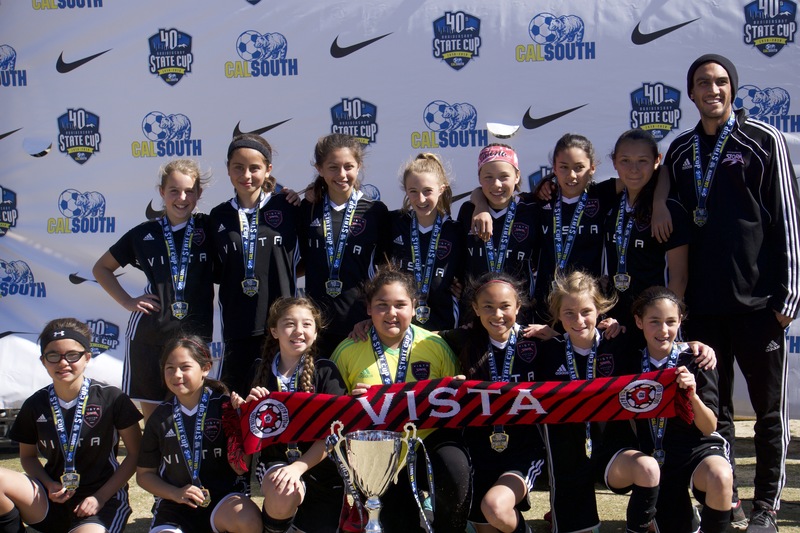 The Vista Storm G2006 Black team are the 2018 Cal South - Governor's Division State Champions! Despite losing their first game of the campaign, they won their next 8 games in a row only allowing 1 goal during that streak, it's true what they say, defense wins championships!